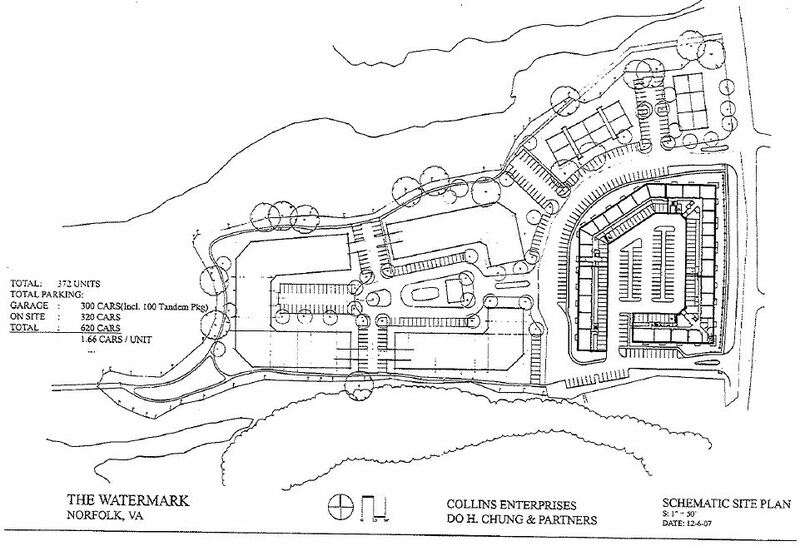 Collins LLC, the developer of WestPort Commons (formerly known as WaterMark) on Newport Ave, just north of Granby Elementary, has applied to the City for a siteplan change. The application is being made because Collins wants to build apartments rather than condos. Collins blames the market for condos and condo financing on the need to change. The original siteplan called for six small condo buildings closest to Newport Ave and three larger condo buildings closer to the river. One small condo building has been built thus far on the northeast corner of the property. The change in siteplan will need to be approved by City Council. The application that has been filed indicates that Collins wants to combine four of the original small condo buildings into one large apartment complex. The apartment building will be situated against Newport Ave. The apartments are to be called “The Landmark at Talbot Park” and will include 1, 2, and 3 bedroom units. As currently planned the apartments will not include a pool, tennis courts, or a clubhouse. 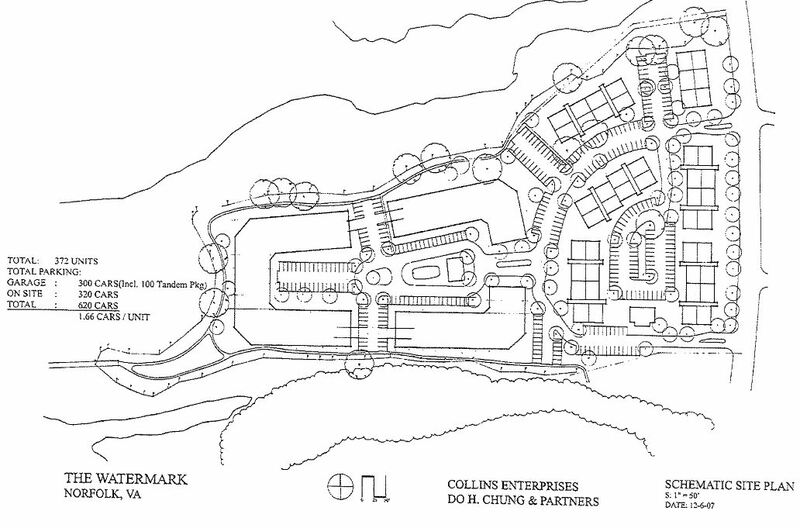 Collins presented their proposed plan at the May Wards Corner Taskforce meeting. Some concerns that have been pointed out by those in attendance are: lack of amenities (pool, clubhouse, tennis courts), the appearance of one large, long, 4-story wall on Newport Ave, that Collins promised condos but now wants apartments, and the lack of greenspace. The portion of the property closest to the river is not being developed at this time and the siteplan for that are will more than likely change in the future. Please see our July 11, 2008 article titled “WestPort Commons Update” for information about the original plan for the development. Representatives from Collins will be at the Wards Corner Now meeting on June 19, 2010 at 8:30am at the Fitness and Wellness Center on Newport Ave. If you have questions or concerns regarding this development, please attend. This entry was posted on Friday, June 11th, 2010 at 9:08 am and is filed under Wards Corner Now, Wards Corner Taskforce. You can follow any responses to this entry through the RSS 2.0 feed. Both comments and pings are currently closed. Can we be sure that this isn’t to house the elements from the demolishing of the texas streets. Those elements need to be dispursed not just shuffled to another area. I want to retire and move back to this area. I think it is a TERRIBLE idea to put in apartments. It will becomd an area like the projects. This needs to be thought through more clearly. Please consider something other than what is being proposed. I know people have to make a living but this will tear down the entire area in the future. As a resident of the area, my neighbors and I were delighted to learn that Arthur Collins was tearing down a section of old apartments on Newport Ave and developing a modern homeowner complex geared towards young professionals. The 12 units that have been completed are a marked improvement for our area, and has transformed a dense section of temporary rental units into an area of fulltime home owners. As you know, the area of Wards Corner referred to as “Crossroads” is currently overrun with rental apartments. My concern, and the concerns of my neighbors, stem from the recent change in plans that Collins has expressed for the remaining property adjacent to the completed condo’s. No matter the quality of construction and landscape, apartments are not part of the vision that we have for Wards Corner, and will be agressively challenged. Now is a critical time for Norfolk to continue the vision of a well established, safe, a prosperous Wards Corner. More apartments are not an option. I was all for the Condos because it eliminated aprtments and increased owner occupied properties in and around the Wards Corner area. We met, we set a vision for Wards Corner, we developed a plan, we need to stay the course. The markets will change again and we need to be ready next time, with a location people want to move to. This will be a small test for our new councel member. Lets see if he can be our leader in this. Words mean nothing to me from politicians anymore. Actions are were I put my vote. Voice your concerns by talking to your neighbors. We need attendance at this meeting on Saturday June 19th. NO NEW APARTMENTS for Wards Corner – period. We have too many apts already…what happened to the wonderful idea of Condos..go back to your original plans of Condos and you won’t have the whole neighborhood screaming! We don’t need more apartments in Ward’s Corner. 4 story apartment building will not help our property value just bring it down. There are allot of apartments in Norfolk still not occupied so more apartments that will be “high density” will most likely go unoccupied. NO MORE APARTMENTS IN Wards Corner! Stick with the original plan of condos at the very least. Our roads and schools are crowded enough without adding more apartment dwellers. The developer does not need to build more apartments he can renovate those now in place. Unless of course, the reason is for “profit” only. We do not need to suffer for the contractors mistakes. I hope that our elected officials listen to the people in the area.